As a consequence of insufficient removal during treatment of wastewater released from industry and households, different classes of organic micropollutants are nowadays detected in surface and drinking water. 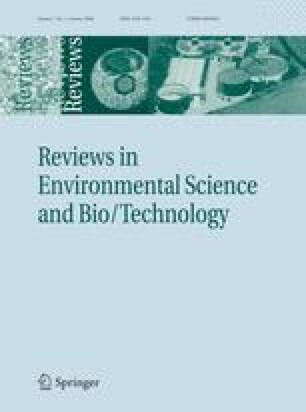 Among these micropollutants, bioactive substances, e.g., endocrine disrupting compounds and pharmaceuticals, have been incriminated in negative effects on living organisms in aquatic biotope. Much research was done in the last years on the fate and removal of those compounds from wastewater. An important point it is to understand the role of applied treatment conditions (sludge retention time (SRT), biomass concentration, temperature, pH value, dominant class of micropollutants, etc.) for the efficiency of conventional treatment plants (CTP) and membrane bioreactors (MBR) concerning the removal of micropollutants such as pharmaceuticals, steroid- and xeno-estrogens. Nevertheless, the removal rates differ even from one compound to the other and are related to the physico-chemical characteristics of the xenobiotics. The authors thank the European Commission for funding AQUAbase Project under the Human Resources and Mobility Activity within the 6th Framework Programme under contract number MEST-CT-2004-505169.